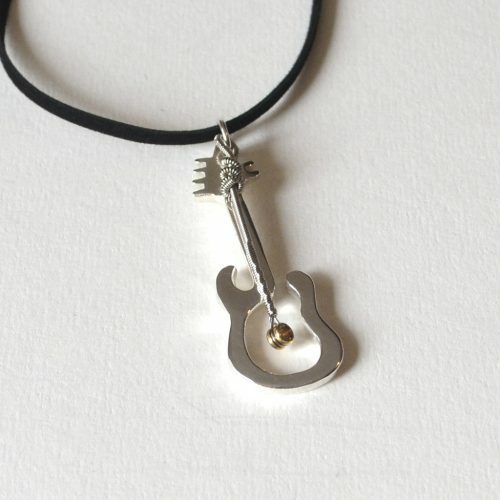 This inventive necklace is crafted using the ball-ends of two guitar strings played by Steve. (Includes a spiffy Certificate of Authenticity.) They attach to a meticulously-crafted solid silver pick-holder that articulates the album’s iconic butterfly. 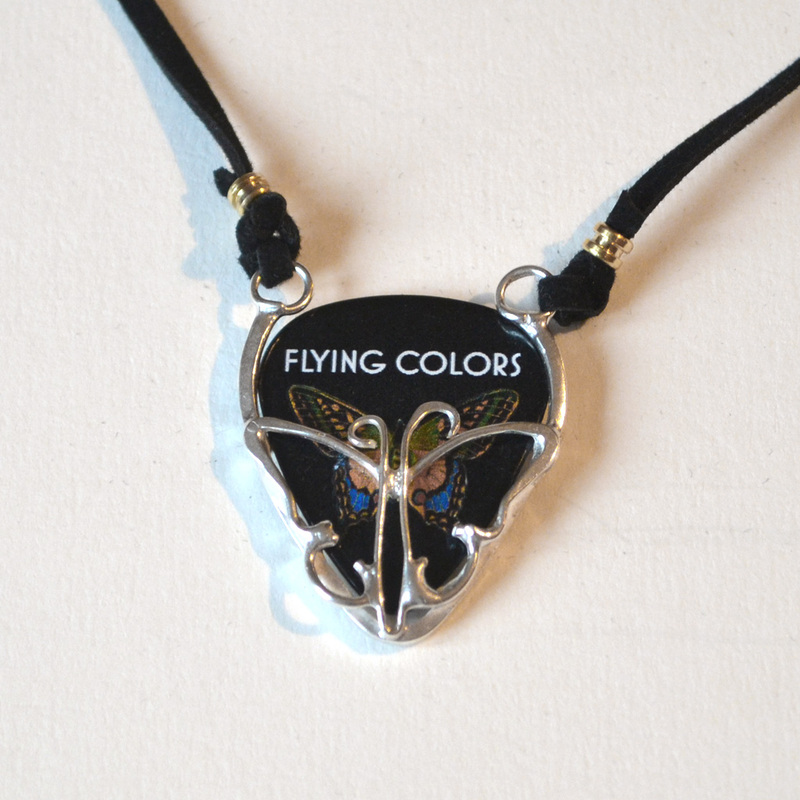 Inside is custom guitar pick with the butterfly image. 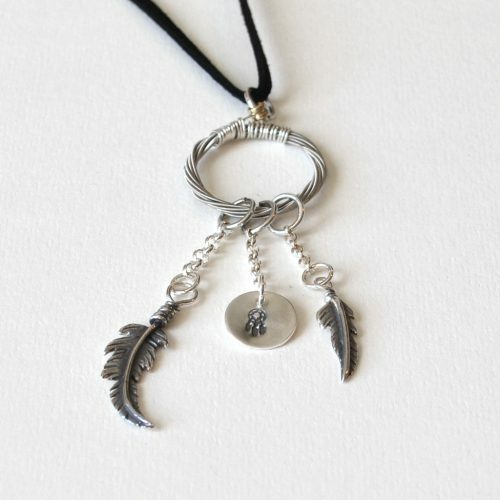 The whole ensemble hangs from a leather-style (animal friendly) black necklace. Suitable for men or women. 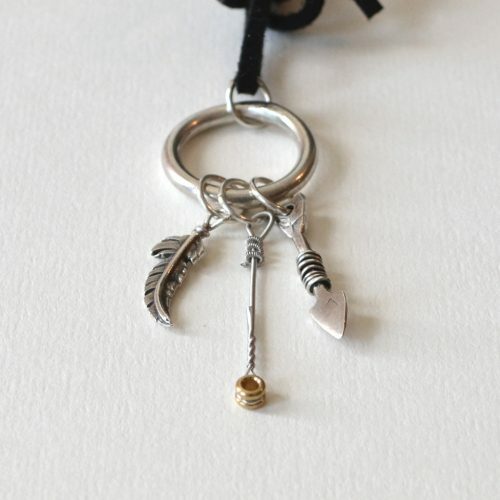 Handmade in Sweden by master jeweller (and Flying Colors fan) Katya Ekström. 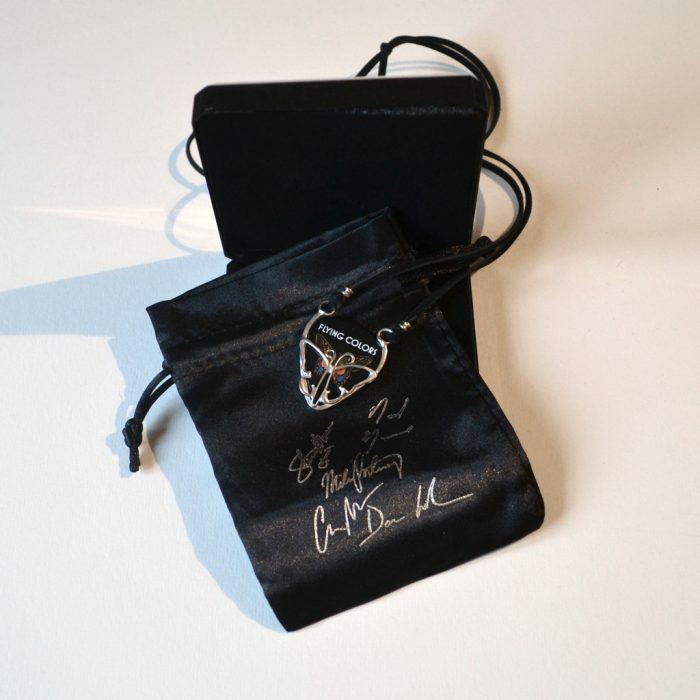 Packaged in an elegant cloth satchel emblazoned with all five band members’ autographs, protected inside a custom Flying Colors display and storage case.